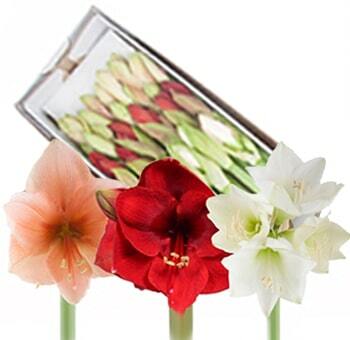 Amaryllis flowers are your ideal choice if you are looking for a decorative wedding flower to achieve simple, yet gorgeous centerpieces. They are perfect for bridal bouquets and flower arrangements because of their large, full heads, and spectacular color. They have a quality that adds elegance and is very good for Christmas, holiday season parties, and winter weddings. The head size is between 2 to 3 ½ inches in diameter. Although they have very little scent, their vase life is 6 to 10 days, making them very fresh for many days. Keep in mind when you receive them they may appear a bit droopy because of their long journey, which is ok. Just cut about an inch off the bottom of each stem then place them in fresh water, avoiding sunlight. In 5 hours you will see how quickly they perk up. Keep the water fresh every 24 hours; the best time to order them is from October to April, although they are available year around. They come in shades of: white, light pink, hot pink, dark pink, peach, orange, dark orange, red, dark red, and assorted. Please order 3 to 5 days before your event for maximum freshness. Flowers have always been a symbol of love, trust, and togetherness. When it comes to celebrations, occasions or expressing feelings, we turn towards flowers. Flowers complete the look of any decoration. They add emotions to the venue. And, what could be better than vibrant, big blooms that steal your heart every time you look at them? 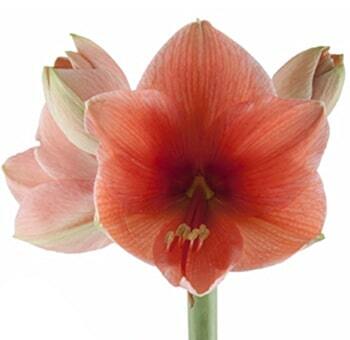 An amaryllis bloom looks bright, perfect and unique, wherever put to use. The elegance that these blooms bring to an occasion is beautiful and breath-taking. Make them into different forms of bouquets; use them as flower backdrops or in garlands. These magnificent bulbs look great as centerpieces too. Add brightness to any décor with these lovely, winter flowers! 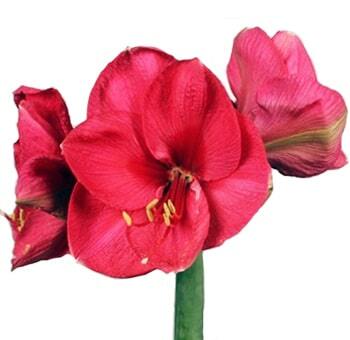 Known initially as Amaryllis belladonna, the amaryllis lily flower is a huge flower that is trumpet-shaped. Their thick stem gives them good support and sturdiness, making them perfect for decor. The fine lines on their petals and the lush green stem make them look majestic. Generally having six petals, these beauties grow in fairly huge clusters. The plant has a large stem or two that are leafless, supporting a number of flowers on them. Each main stem bears about two to twelve in a number of these majestic blooms. 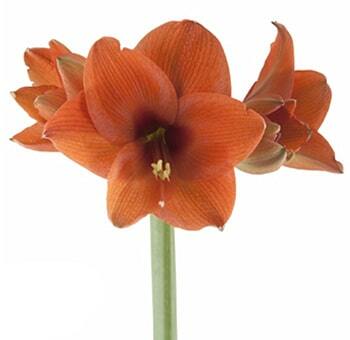 These blooms have a size more immense than the usual vibrant flowers available for décor. Having a diameter of about 5-10 centimeters for each bulb on the cluster, they seem perfect for lavish, elegant decors. 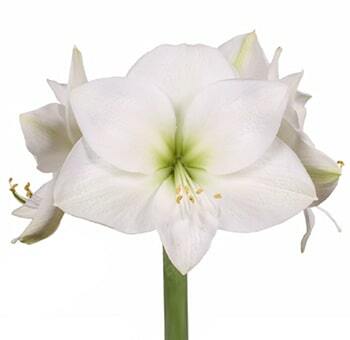 Retaining a beautiful appearance, this flower is popularly referred to as the ‘Queen of winter flowering plants.' These flowers are ideal for any type of décor. The florists usually tend to use them for a monotonic theme when it comes to decorations. However, they are also paired up with tiny tropical flowers or white orchids for a subtle look. They are available in a range of colors. Whether you prefer the rich white look or a more delicate pink, their beauty is unmatched. The striped varieties are also available for this flower. The red amaryllis and orange amaryllis lilies add a more romantic feel to the venue and are highly popular for wedding decors. Get them to be a part of any occasion's décor and witness the venue turn to a paradise! Having the perfect color scheme and winter feel to them, these blooms are just apt for a Christmas décor! 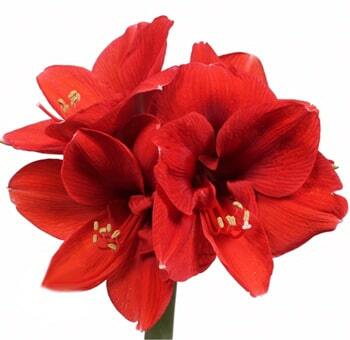 The Queen of winter flowers, the amaryllis lilies complement the color of the Christmas tree well and add to its beauty. Whether used as garlands or as the centerpieces in the décor, they complete the look of the room they are put in! The intricate details of the big bloom carry a simplicity with them that is pleasing to the eye. They are elusive, yet stand out in the décor. 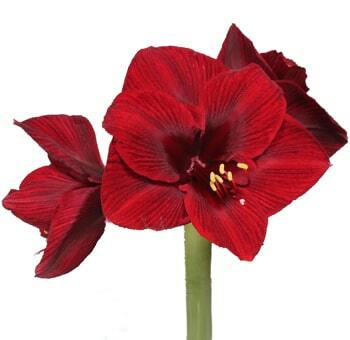 An epitome of winter decorations, Christmas and New Years’ decorations seem incomplete without these amaryllis bulbs. Generally coupled with fairy lights or confetti sprinkled around, the feel of the flowers is perfect! A feeling of love, togetherness and holidays gets filled up in the air with these blooms around. The long-lasting flowers have a magical effect on them, they fill the place with vibrancy and happiness and add cheer to the entire place. These Christmas flowers go well with warm indoor decors as well as the wintery, outdoor decors. Pairing them up with the right greens just doubles up their beauty. The best part is that you can pair them up with tender, soft greens too. Their strength is enough to hold the décor together. 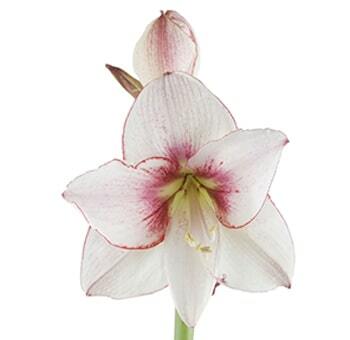 Where to buy amaryllis flowers online? When it comes to decors and flowers, the quantity is never enough! 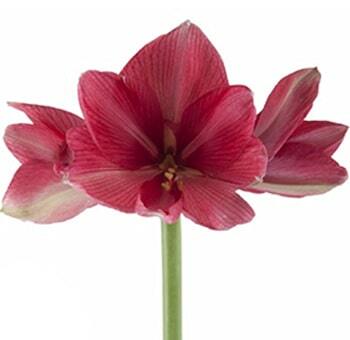 Especially when it comes to beautiful ones like the amaryllis, you would want to order as many as possible! Getting flowers in bulk for the décor always seems like the best idea. Now, ordering in bulk might have been a costly affair, had Whole Blossoms not been there! 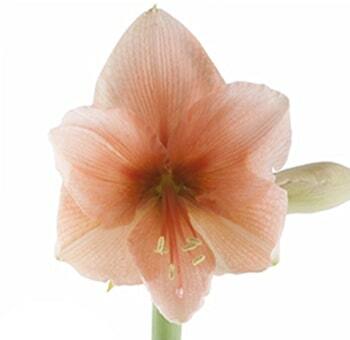 All thanks to Whole Blossoms, the amaryllis flowers for sale is no more trouble! This great online flower store gets you the best in quality. It also gets you the best in price! Buy as many as you want without any worries. 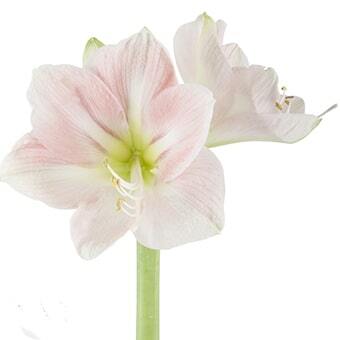 The fresh amaryllis flowers are available for sale at a budget-friendly price. It is time you enhance your décor with these vibrant blooms and give your occasion an added touch of happiness. When you have online stores like these, all you need to do is select the best-suited flowers and click on the Order button! Get the freshest of flowers delivered to your doorstep and enjoy the décor of your celebration. Make your celebration flawless and the whole process hassle-free! Add life to your décor.